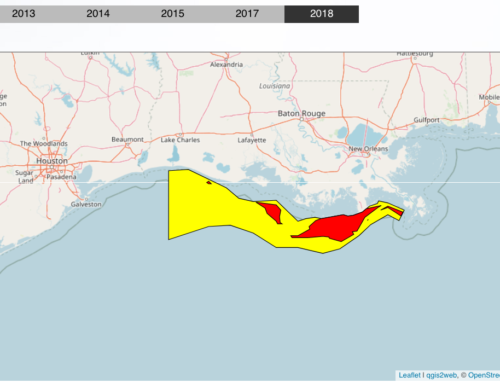 NOAA-supported scientists from the Louisiana Universities Marine Consortium and Louisiana State University are forecasting that the "dead zone" off the coast of Louisiana and Texas in the Gulf of Mexico this summer could be the largest on record. 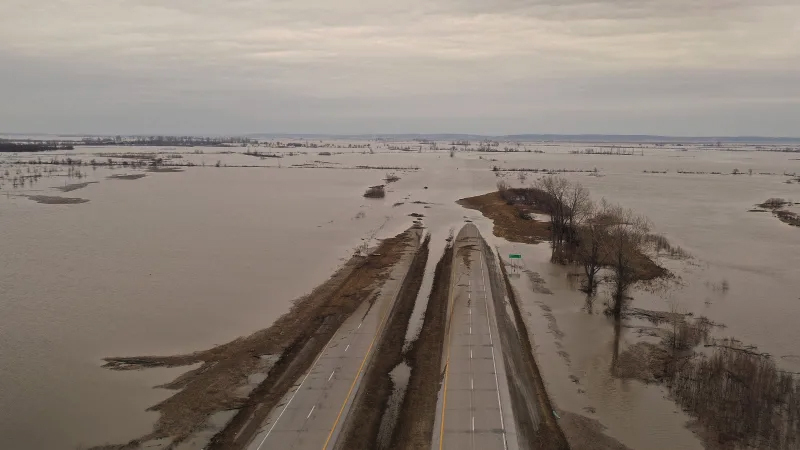 The researchers are predicting the area could measure a record 8,800 square miles, or roughly the size of New Jersey. In 2007, the dead zone was 7,903 square miles. The largest dead zone on record was in 2002, when it measured 8,481 square miles. The official measurement of this year’s dead zone is slated to be released in late July. Researchers began taking regular measurements of the dead zone in 1985. 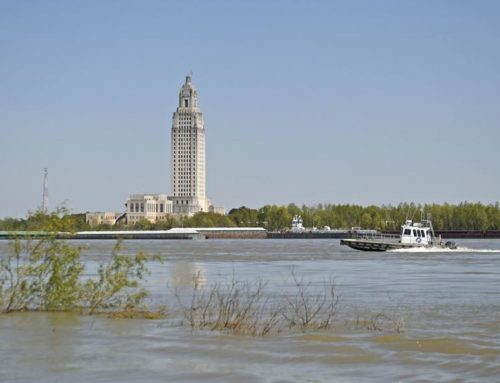 "The prediction of a large dead zone this summer is due to a combination of large influx of nitrogen and exceptionally high flows from the Mississippi and Atchafalaya rivers," said LSU scientist R. Eugene Turner. 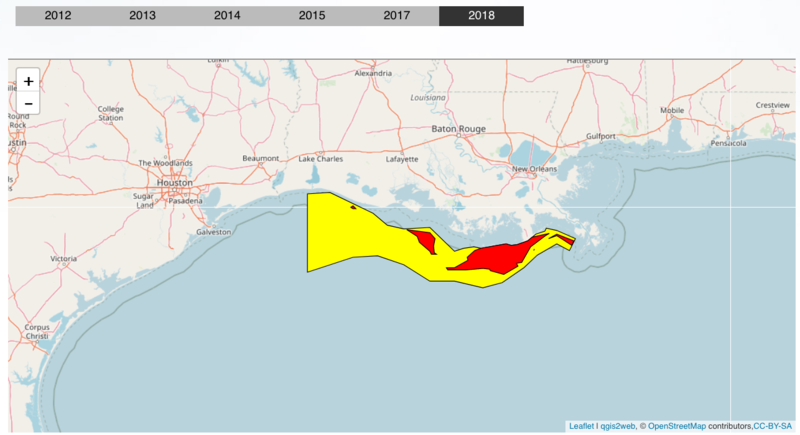 The dead zone is an area in the Gulf of Mexico where seasonal oxygen levels drop too low to support most life in bottom and near-bottom waters. This low oxygen, or hypoxic, area is primarily caused by high nutrient levels, which stimulates an overgrowth of algae that sinks and decomposes. The decomposition process in turn depletes dissolved oxygen in the water. The dead zone is of particular concern because it threatens valuable commercial and recreational Gulf fisheries. 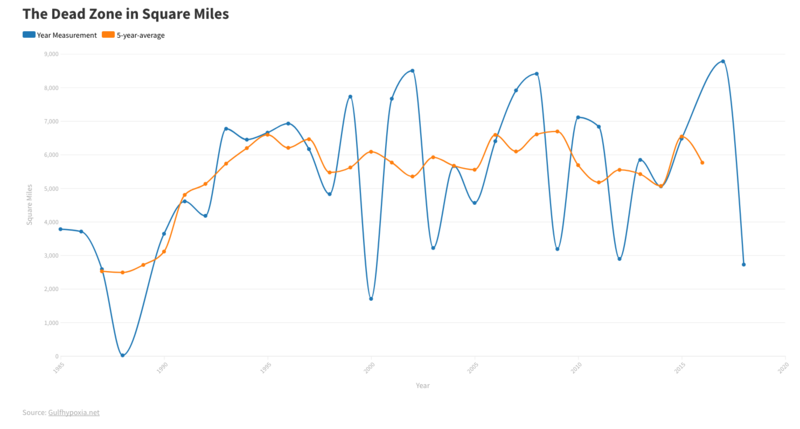 Comparison by year of the measured Gulf of Mexico dead zone size in square miles. 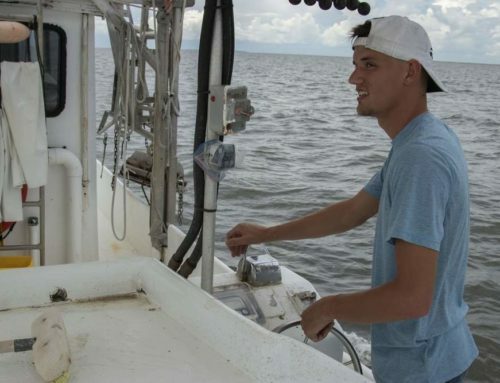 Research indicates that the nearly tripling of nitrogen levels into the Gulf over the past 50 years from human activities has led to a dramatic increase in the size of the dead zone. Various models are useful in evaluating the influence of nitrogen loads and other factors on the size of the dead zone. The LSU model has a strong track record of accurately predicting the dead zone’s size. 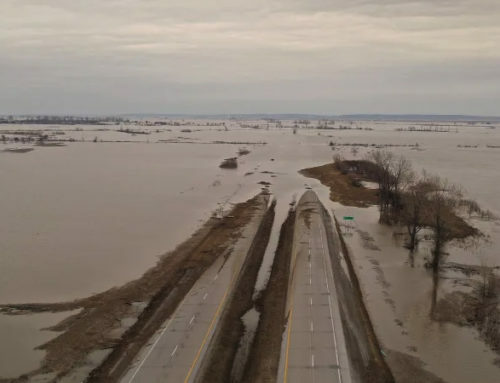 "The strong link between nutrients and the dead zone indicates that excess nutrients from the Mississippi River watershed during the spring are the primary human-influenced factor behind the expansion of the dead zone," said Rob Magnien, director of NOAA’s Center for Sponsored Coastal Ocean Research. "This analysis will greatly inform the development of federal, state and local efforts to reduce the dead zone’s size." 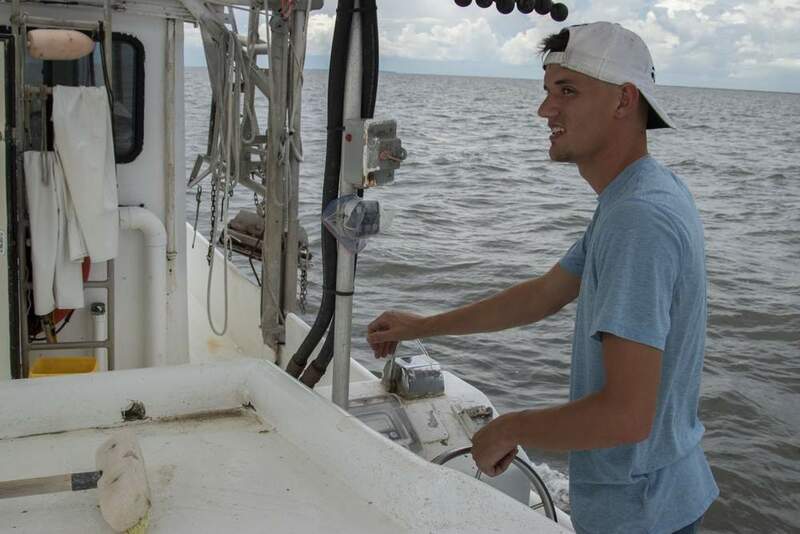 The forecast is based on a mathematical model developed by LSU through NOAA’s long-term research investment by CSCOR’s Gulf of Mexico Ecosystems and Hypoxia Assessment. 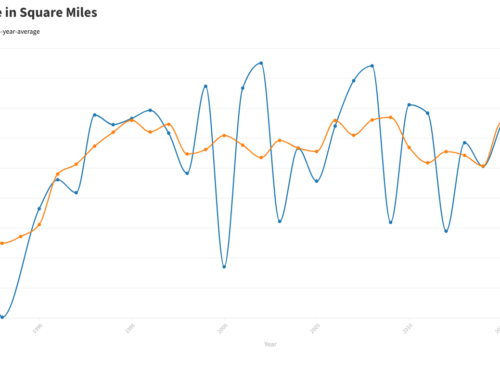 The model incorporates U.S. Geological Survey data on the amount of nitrogen reaching the Gulf of Mexico in May. NOAA has been funding investigations into the dead zone since 1990. The National Oceanic and Atmospheric Administration, an agency of the U.S. Commerce Department, is dedicated to enhancing economic security and national safety through the prediction and research of weather and climate-related events and information service delivery for transportation, and by providing environmental stewardship of our nation’s coastal and marine resources. Through the emerging Global Earth Observation System of Systems (GEOSS), NOAA is working with its federal partners, more than 70 countries and the European Commission to develop a global monitoring network that is as integrated as the planet it observes, predicts and protects.